Ingrid T. Colón is a researcher in the area of English learner education with the Education Policy program at New America. 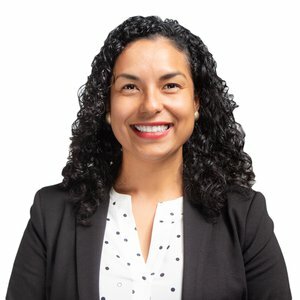 As a proud immigrant from El Salvador and an English learner herself, Colón's research focuses on the experiences of recently-arrived immigrant families and their children in public schools, English learners, culturally- and linguistically-responsive classrooms, and dual language education. Her work has been published in educational journals and she has presented her research in major educational conferences such as the American Educational Research Association (AERA) annual meetings. Prior to joining New America, Colón was an assistant professor of early childhood education at the University of the District of Columbia, teaching undergraduate courses in the areas of early childhood and elementary education. In addition, she has extensive experience teaching young language learners in urban schools, having taught dual language education to kindergarten students in Chicago, Ill. and other bilingual models to third grade students in San Diego, Calif.
Colón holds an Ed.D. in curriculum and instruction from Loyola University Chicago, a M.A. in curriculum and instruction with an emphasis in urban education from San Diego State University, and a B.S. in elementary education from the University of Nevada Las Vegas.